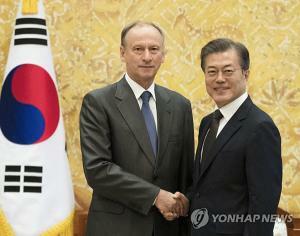 The top nuclear envoys of South Korea and China agreed Thursday on the need to maintain momentum in efforts to resolve the North Korea issue. 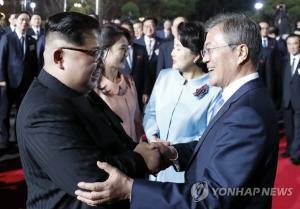 In talks here with China's Vice Foreign Minister Kong Xuanyou, Lee Do-hoon, Seoul's chief delegate to the six-party talks on the North Korean nuclear program, said 2019 will be an important year to pull off substantive progress in denuclearization and the establishment of a peace regime on the peninsula. He cited North Korean leader Kim Jong-un's repeated expressions in his New Year's speech of commitment to completing denuclearization and ensuing summit talks with Chinese President Xi Jinping in Beijing. 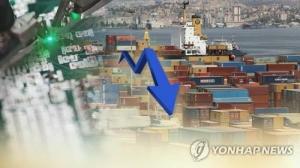 Lee described them as "noteworthy progress," speaking at the outset of the meeting with Kong. 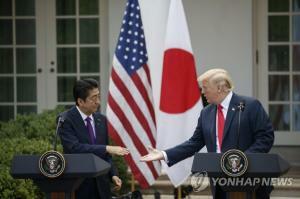 He struck an upbeat note on the possibility of a second summit between Pyongyang and Washington and Kim making a reciprocal trip to Seoul. But he added there's still a long way to go and Seoul and Beijing will have to work together for denuclearization and peace in Korea. 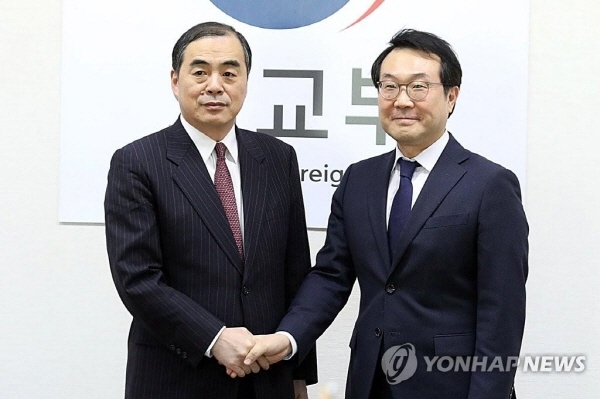 Kong, who serves as special representative for Korean Peninsula affairs, said security conditions on the peninsula are at "a historic starting point" following a big change last year. He said the Chinese government will join the push for a political resolution to the Korean Peninsula issue through strategic communication with South Korea and continued momentum in the process. 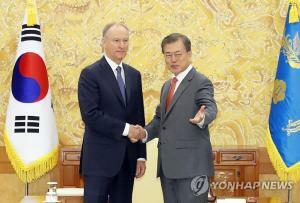 The meeting was Lee's first with Kong since his visit to China last October. It came as Kim Yong-chol, a ranking North Korean official, was on his way to Washington, D.C. for negotiations with Secretary of State Mike Pompeo. 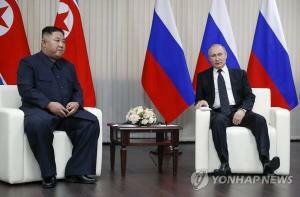 Keen attention is being paid to whether the two sides will reach a deal on the date and location of a second summit.